GT40P iron heads (pollished, milled 0.030", competition valve job), 10:1 compression, Crane 2031 cobra cam (214/220,.513/.529",112LSA), Trick Flow (1pc 4130) pushrods, 1.7 roller rockers, Manley Race Flow Valves, ARP Head Studs. Explorer U/L (pollished & port matched lower), Stock TB (reemed to death), Bullet 75mm MAF, 3" Rubber elbow (Crappy Tire plumbing section), Conical filter. 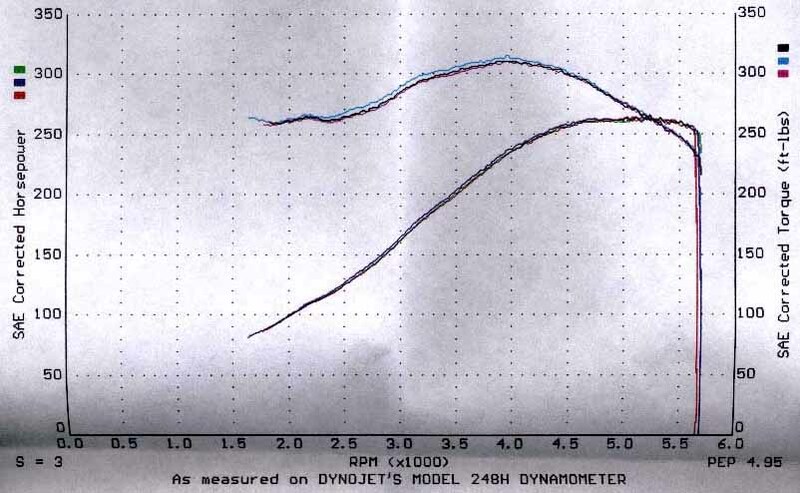 FMS C50 headers (#8 dimpled with BFH), Catco Hi-flow cats, Dynomax 2.5" cat-back. 130 Amp 3G alternator, Crane PS91 coil, Taylor wires with 90* boots & sleeves, (TwEECer in my dreams). FMS A/C delete, Stewart WP, 93 Cobra overdirve WP pulley (March underdrive crank), Mr. Gasket Hiflow 180 therm, 3 core rad, Mark VIII electric fan, Variflow controller. SN95 conversion with '99 Calipers, 99 Cobra wheels, Bilsteins with coil-overs, WMS SFC's, MM 4pt chassis brace, MM C/C plates, Fabricated STB, relocated battery. Head swapping - On a stock & a typical combo. Fan HP - What a drag! Stangnet - Current tech articles. Mustang-Camaro - Good articles etc. Performance Parts Inc. - Competitive prices, Jim's the man. Blue Thunder - Cup Holders! Can get an ashtray insert, or larger arm rest! KarKraft - Great prices, Detroit area. TurboFord.org - Even a message Board! Intercooler - How does it work? 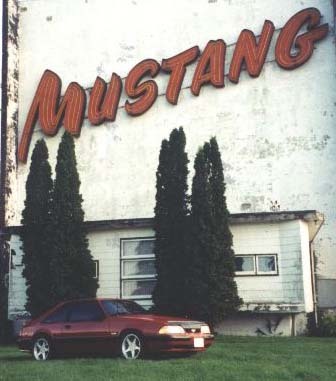 Ryan's Turbo Mustang - great info! Turbo Upgrades - Crazy Guy, good info.